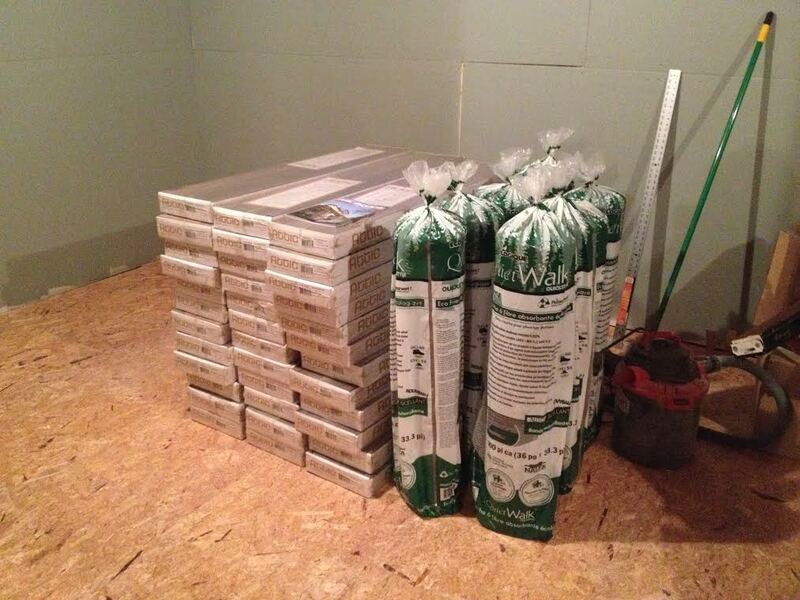 Just finished hauling 36 boxes of 12mm Attic brand Pewter laminate flooring into the basement. I think I’m good for a couple of stiff drinks and a night in front of the TV! I also bought some good quality underlay for the floor. Its the same stuff I installed in our old house and it is worth the money. After letting the new laminate settle with the temperature of the basement, I’ll start putting it down. This entry was posted in Room Construction by tsokolan. Bookmark the permalink.